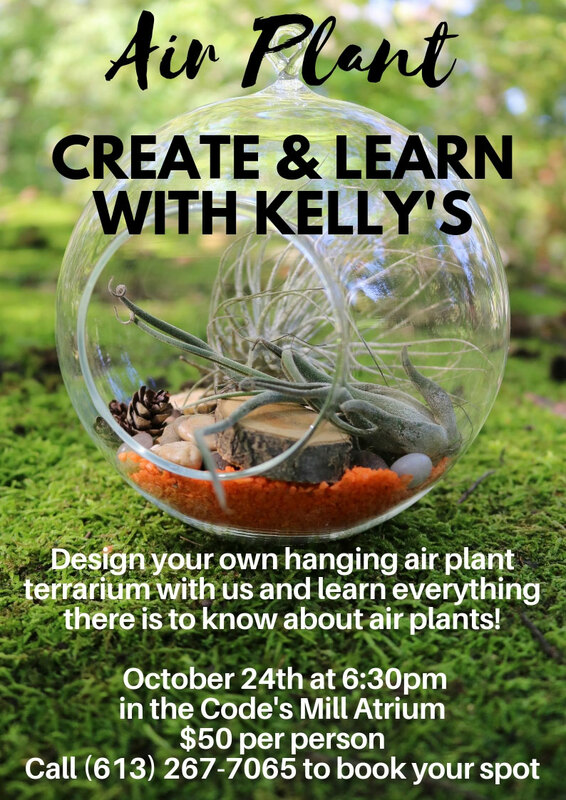 Our wreath workshop design night was a huge hit this year! Our numbers almost doubled what we expected! 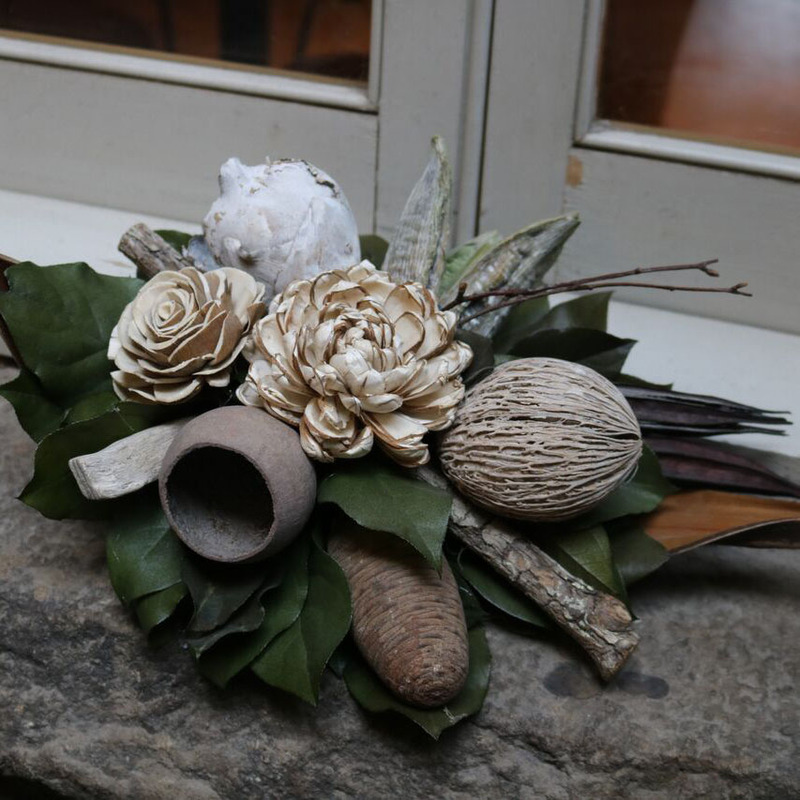 So we can't wait to host our Christmas centrepiece workshop! 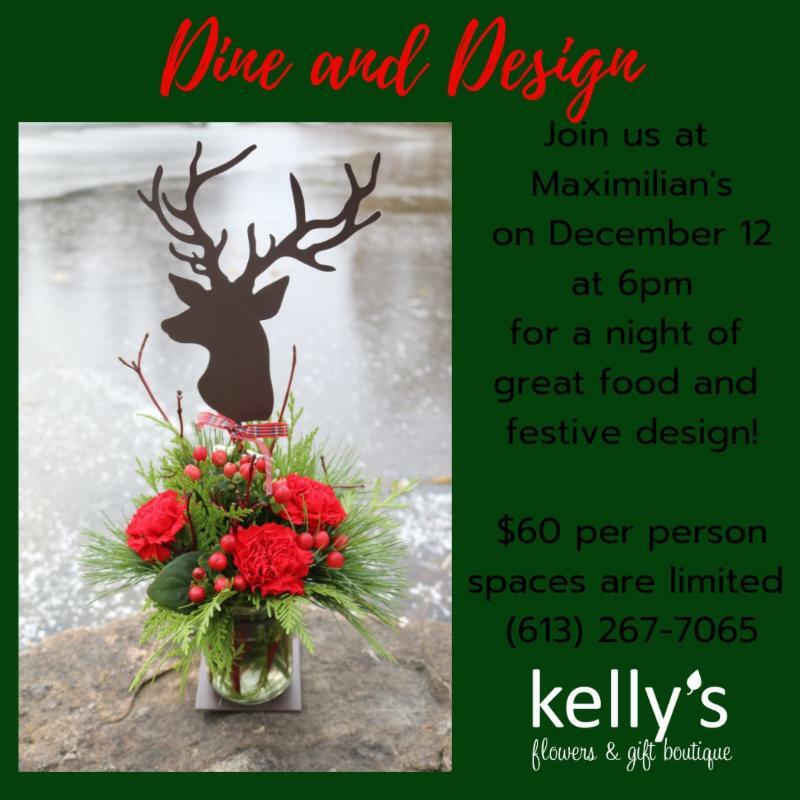 Kelly's is hosting a Christmas centrepiece design night on Thursday, December 21st, from 6:30 - 8 pm in the Code's Mill atrium. 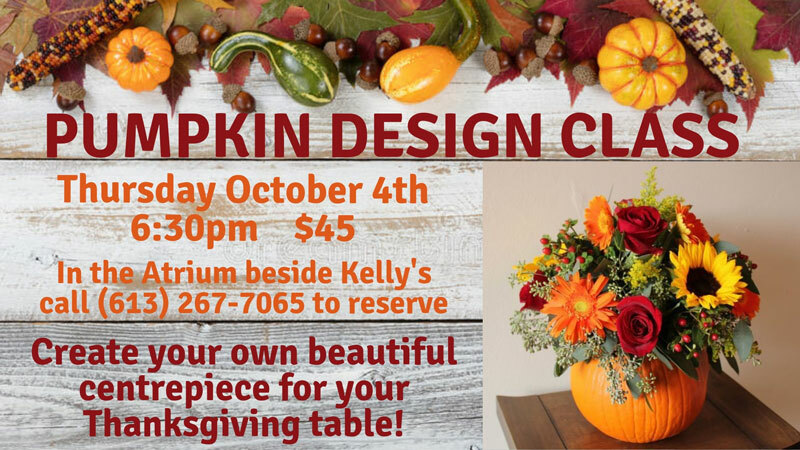 Come enjoy a night out with our amazing floral designers, and partake in a step-by-step class making your very own centrepiece for the holidays. 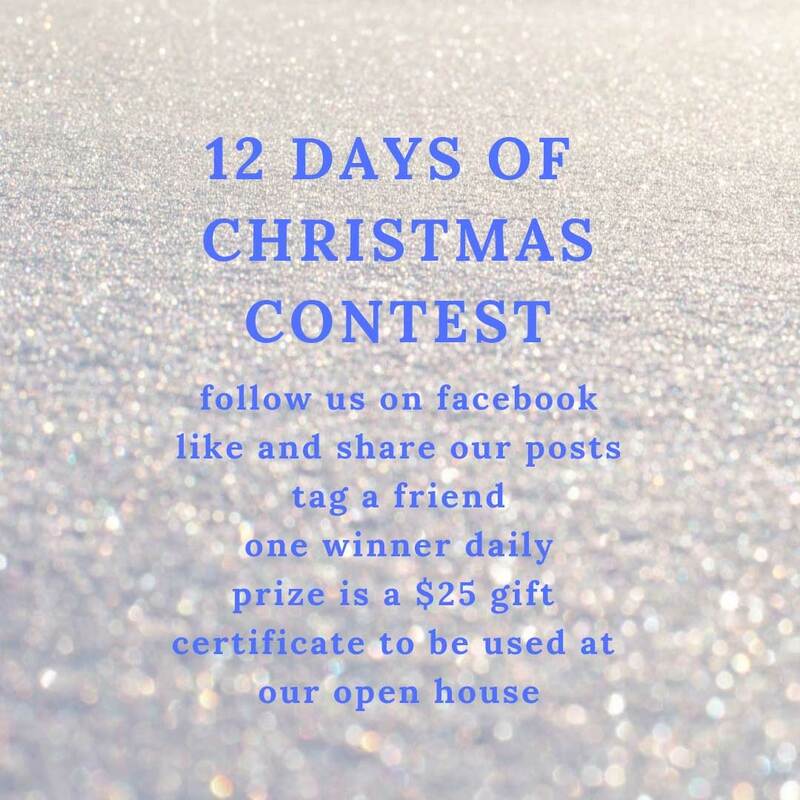 Call us at 613-267-7065 or stop by the store if you want to join us! Space is limited. Class is $55 plus tax. 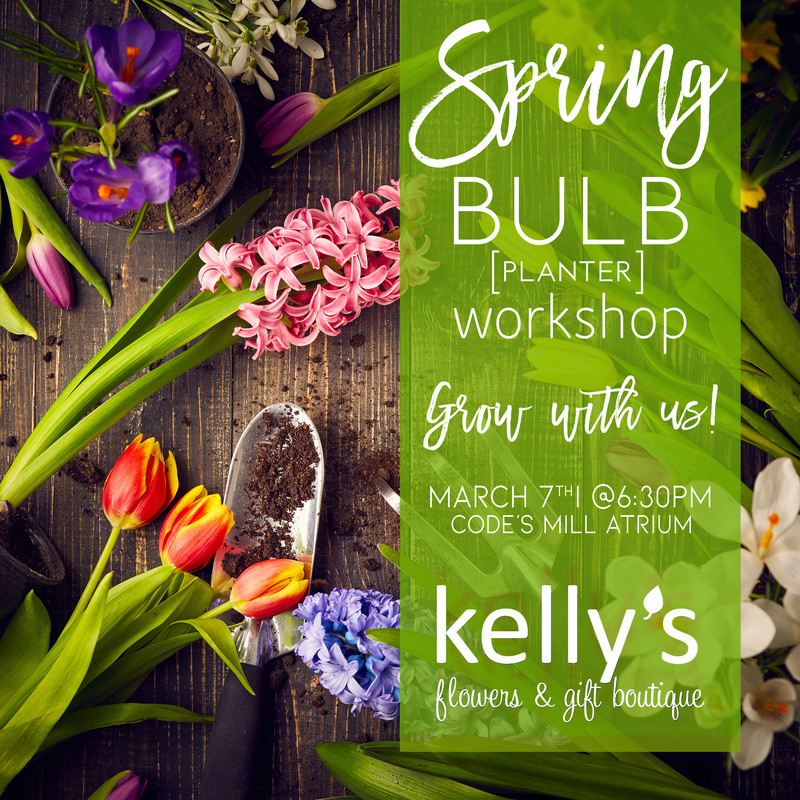 This month we are hosting three workshops. That’s right! Three!!! Have a look at what's coming up. 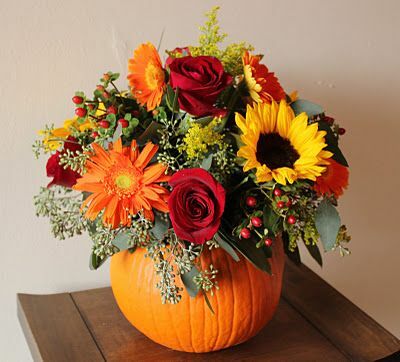 November 15 – Outdoor Urn Workshop – decorate your front porch or doorway with a beautiful and festive Urn. We will be using a variety of seasonal greenery, branches and holiday decorations. The workshop is $.... plus tax. 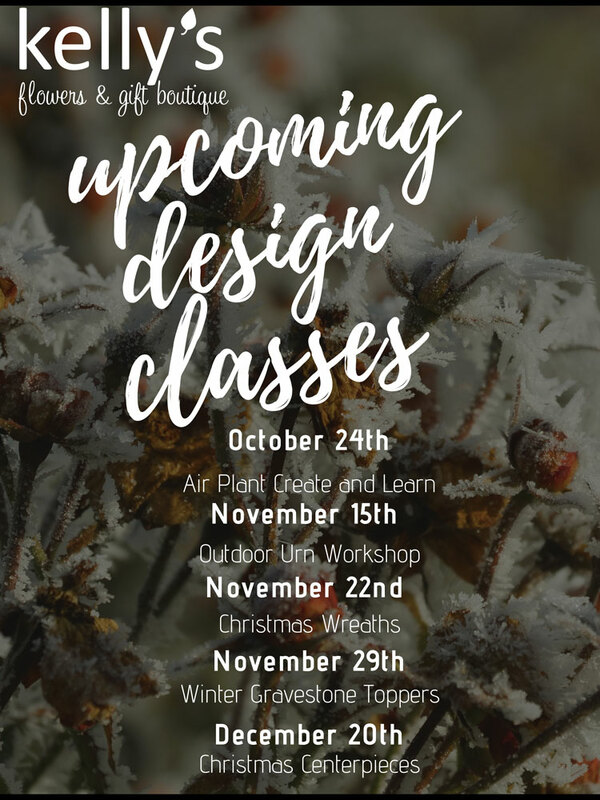 November 22 – Christmas Wreath Workshop – we will teach you how to decorate your very own natural wreath to adorn your front door. The workshop is $.... plus tax. 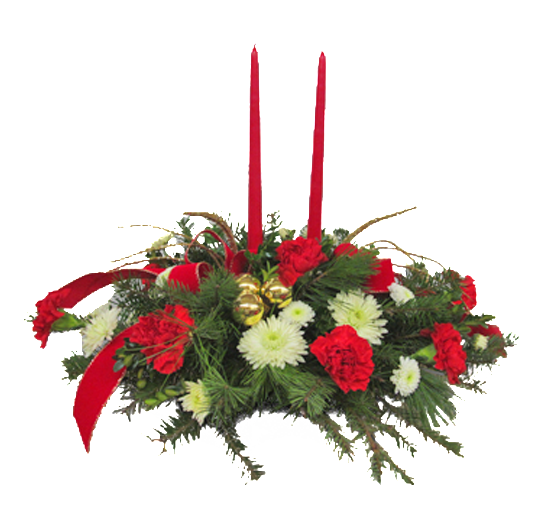 November 29 – Winter Gravestone Toppers – Create a beautiful topper for your loved one with seasonal greenery to last all winter. The workshop is $.... plus tax. All workshops are non-refundable. Saturday, November 3 and Sunday, November 4, 2018 Christmas is the most wonderful time of the year. 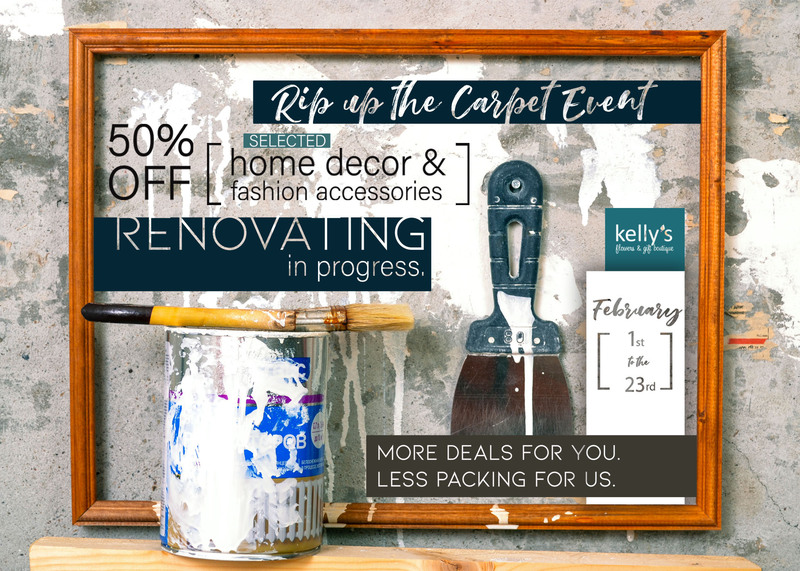 And Kelly’s loves to show off our love for Christmas by kicking off the season with our Annual Christmas Open House. 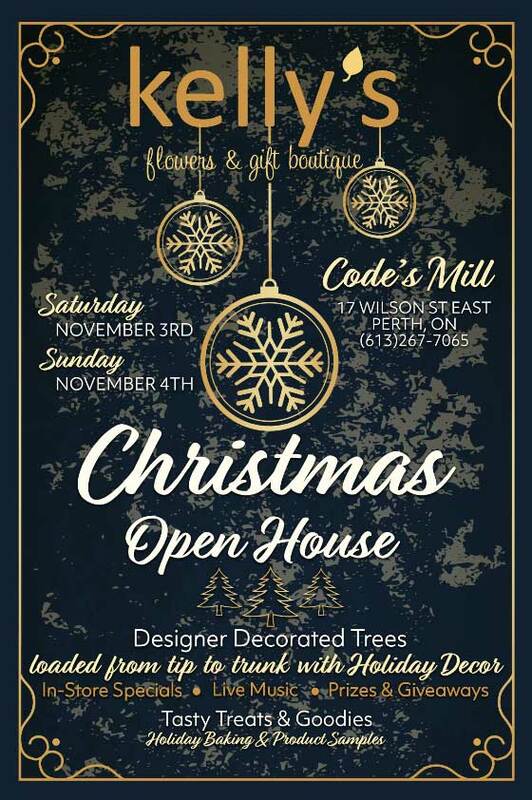 This year our Open House will be held on November 3rd and 4th featuring designer decorated trees, displays, in-store specials, live music, prizes and giveaways, holiday baking and product samples. So mark your calendars and come to celebrate Christmas with us.